As a pet parent, you might wonder if a collar or a harness is a better choice for your everyday use with your dog. You may hear opinions on both, but there are no definite answers as to which pet product is best. It depends on the kind of activities you will be doing with your dog as well as other factors. Here are three questions you should ask when picking between a collar or harness. 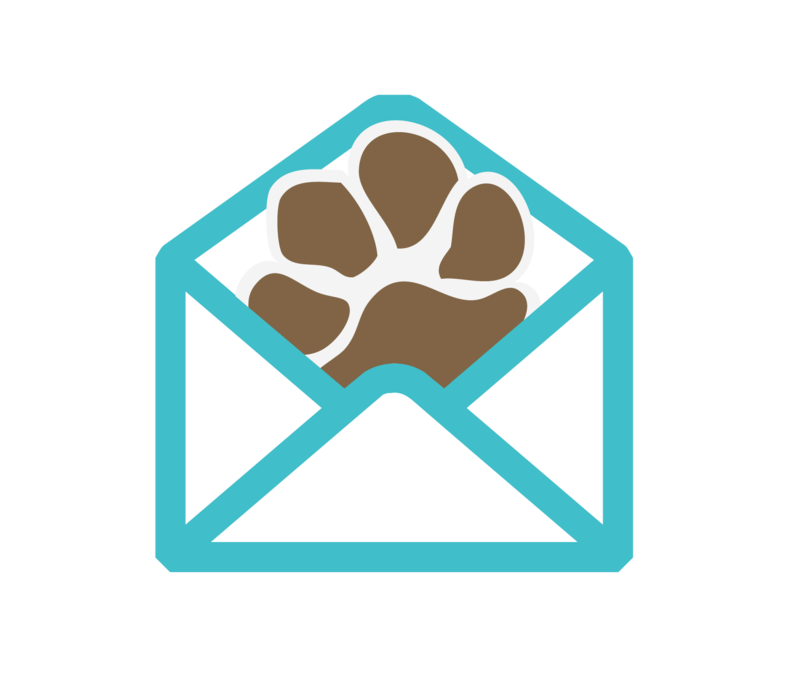 What are my dog’s needs? What are my dog’s attitudes and behaviors? Which product will benefit my dog the most? Every dog has different needs. Figuring out your pup’s needs will help you decide whether a harness or collar is better for them. Harnesses are a great option if you frequently walk your dog. Dog walks can be a stressful time for both owners and pets. Distractions, traffic and other dogs can make dog walking very difficult. However, with the help of a harness, walking can become a lot easier. Harnesses are known for providing more control over your pup. Having more control is helpful when walking next to streets and alongside crowds. If you and your dog frequently walk by busy roads or events you will want to be in control of your dog. Investing in a harness will help you have control on walks, making dog walking smoother for you and your pup. Wearing a harness will lessen the likelihood of your pup’s neck being strained. 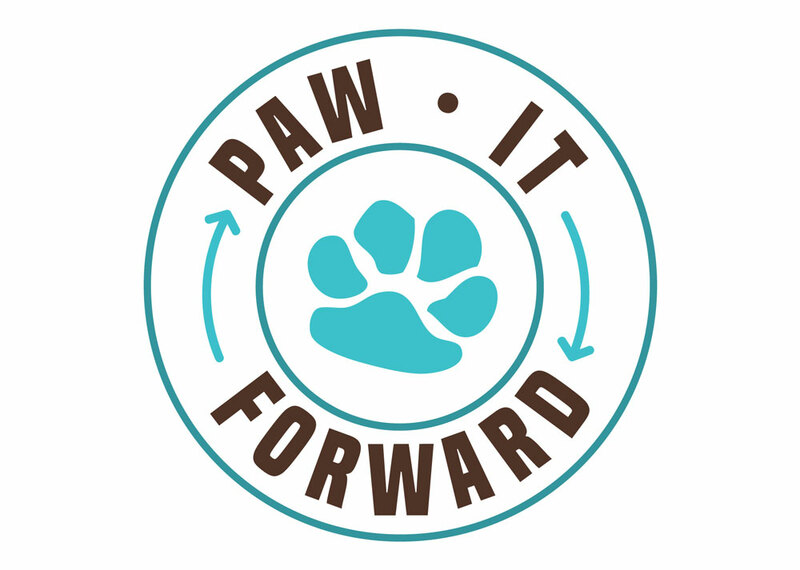 Over time dogs can develop neck injuries and issues. Dogs with short noses, like pugs, tend to strain their necks a lot easier. Small dogs tend to have delicate necks making them more susceptible to injuries. Pulling on a collar can put extra stress towards your dog’s windpipe. This can cause respiratory problems in the future. The great thing about harnesses is they move the pressure from being placed on a dog’s neck or throat to their chest or shoulders. Dogs with collapsing trachea have a windpipe that flattens out. A dog with this condition will experience severe coughing episodes if they are pulling on a collar. It is recommended that dogs with collapsing trachea wear a harness to lessen the pressure on their neck. Harnesses provide help If your pup needs extra assistance with being lifted. Having extra assistance can be useful when helping a dog up the stairs or into the car. If your dog has back problems or is older than a harness can be a great benefit. Collars are great if you plan on keeping them on your dog at all times. They allow your dog more comfort and flexibility when inside the house and are easily visible. 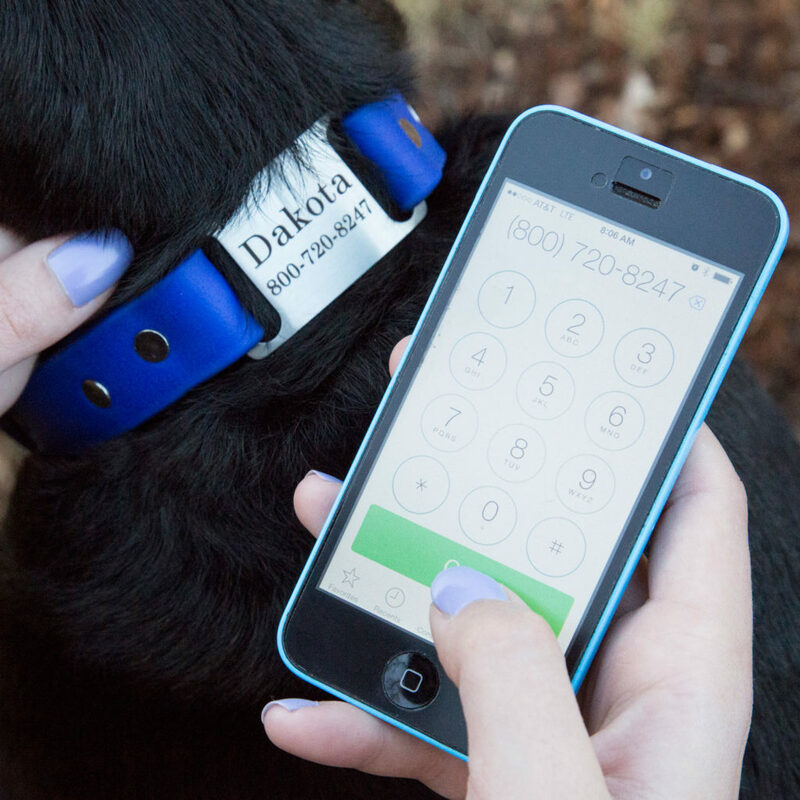 A great advantage with collars is they are able to hold your furry friend’s identification and medical tags easily. Collars are great for dog’s who don’t go on frequent walks or don’t venture far. Typically small dogs go for shorter walks and don’t need as much exercise. In this case, a collar is perfect for a dog who is staying close to home. Every dog is different and you should consider your dog’s needs before deciding if a harness or collar is perfect for your furry friend. Your dog’s behavior and attitude play a key role in whether you should invest in a harness or collar. Whether your pup pulls, gets distracted or is well-trained can determine which pet product is best for them. Harnesses are ideal for pups who are not fully trained. If your four-legged friend frequently jumps or lunges at people and other dogs on walks, then a harness will provide you with more control. It can allow you to quickly stop your dog before they lunge or jump, allowing you to keep control of your dog the entire walk. Most importantly, if your dog pulls, then a harness is a much better option for your dog. Harnesses won’t strain your dog’s neck when they start to pull. 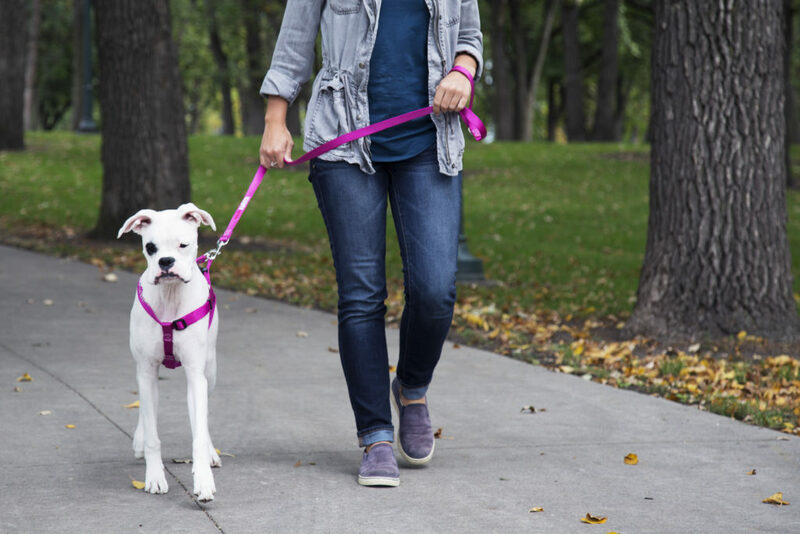 Having a harness will also provide relief to your arm with less pressure pulling against the leash. If your dog is tugging on a collar, it can lead to coughing episodes from the strain on your dog’s neck. 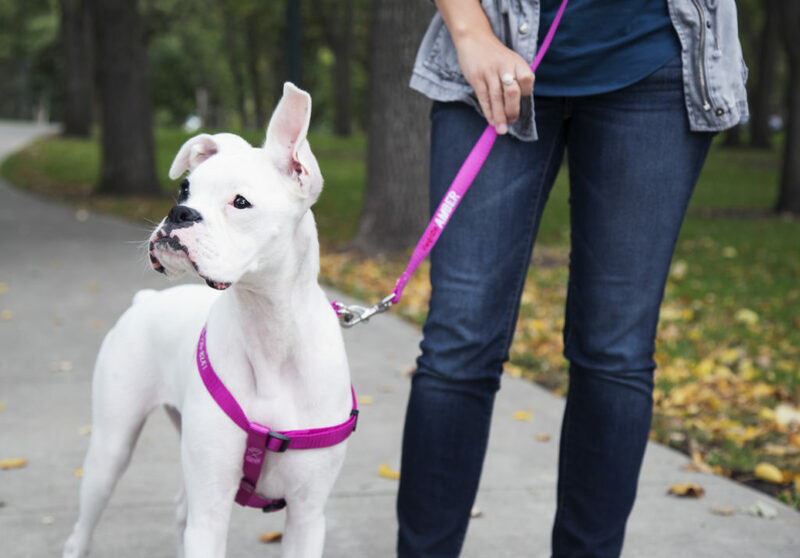 A No Pull Harness is a great option to consider if your furry friend struggles with pulling on walks. 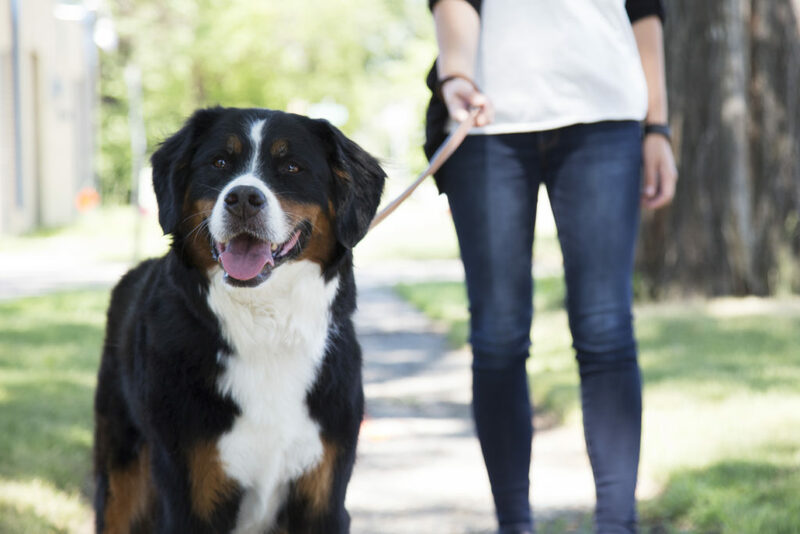 Does your pup get easily distracted while walking? 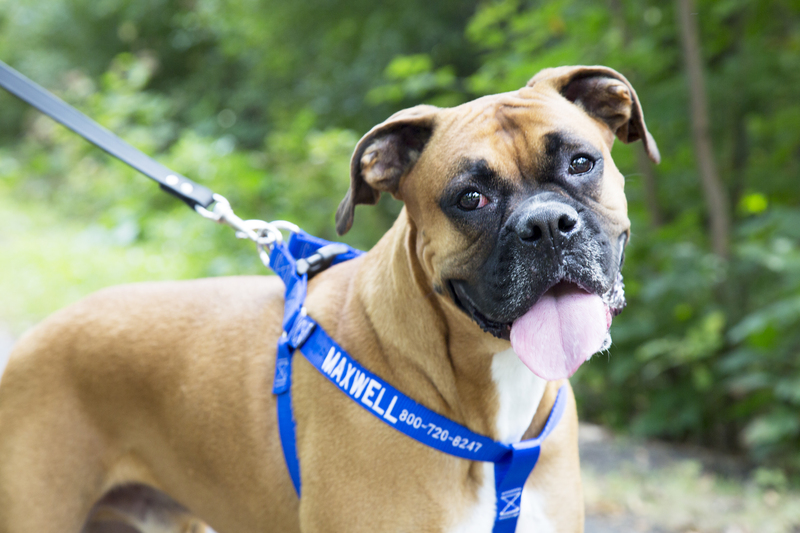 Harnesses will keep your furry friend looking forward the entire walk. Just a quick tug from you on their harness lets your dog know that you mean business. If your dog is well-trained and doesn’t pull, then there is no reason not to use a collar. Dogs who tend to stay in control on walks without pulling are not likely to strain their necks. If your dog walks nicely and listens then there is no reason you should rule out a collar for your four-legged friend. Which will benefit my dog the most on walks? Lastly, we need to ask ourselves what will truly benefit my dog the most? We always want to be thinking what is best for our furry friends. Harnesses are great to help train your dog. If you are struggling to get your pup not to pull on walks than a harness is the ideal option. The last thing any pet owner wants is their dog’s neck being injured on walks. However, not all dogs want to wear a harness. Many pups think a harness can be uncomfortable during walks. They simply don’t like the restriction. If you are going to invest in a harness it may take a while for your pup to get used to it. 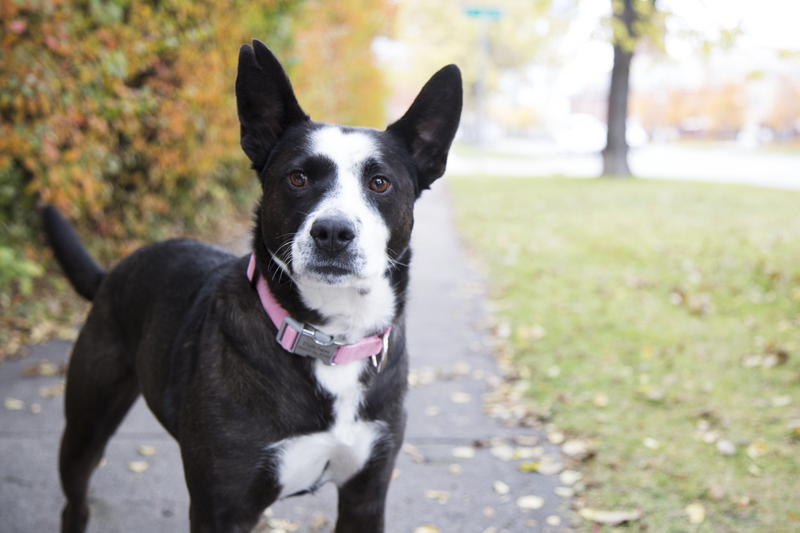 Collars can benefit your dog as well. They are ideal for pups who are well trained. Oftentimes dogs love the feel and freedom of collars. They are perfect around the house. A bonus to pet owners is that they are easy to put on and adjust. Collars can allow you to easily transition from various activities. The best part is there are a wide variety of options and styles to choose from and are visible and easy to see from a distance. No matter if you are choosing a collar or harness for your pup, they should have identification on them at all times. You never know when your furry friend might slip away from you. Identification is extremely important for your dog and can often save your pup’s life. The good news is that with embroidering and engraving, you have the option to have personalization on your dog’s collar or harness. Check out the article “The Importance of Wearing Identification Tags,” for more information on the significance of dog ID tags. If you choose to invest in a harness for your dog, there are many great options that include personalization and identification. An Embroidered Nylon Harness is a wonderful harness for your dog. This harness allows you to embroider your personalized information right on it. The Embroidered Nylon Harness is made from super soft durable nylon that will provide your pup with ultimate comfort. The major benefit your pup will feel is having the pressure removed from their neck and onto their chest. 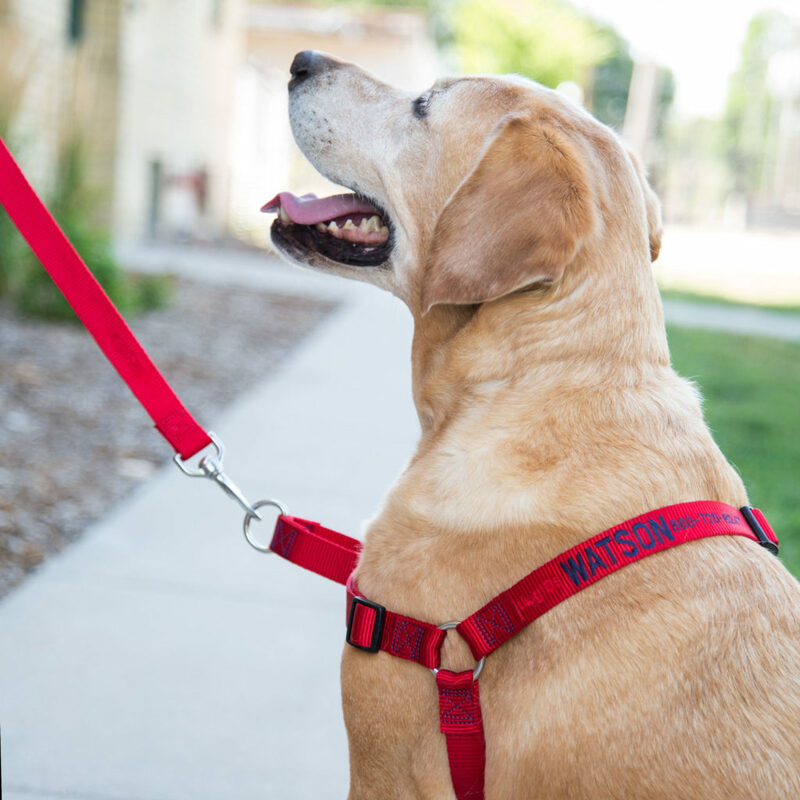 Another great option for your pup is a Personalized Buckle Step-In Dog Harness. This harness allows your dog to step right into the harness making it quick and easy to put on. This high-quality nylon will provide your dog with comfort and will outlast the toughest puller. A bonus is this harness lets you engrave your dog’s identification information right on the buckle. A No Pull Embroidered Nylon Harness will provide many advantages to your dog. This harness is a classic harness with a martingale style-loop across the chest for ultimate control. It is perfect for dogs who need extra training assistance and don’t walk nicely. This harness will redirect your dog’s attention. When they pull on the leash they will be turned around to focus on walking again. If a collar will benefit your pup the most then there are many options to choose from. Collars come in a wide variety of styles and colors. 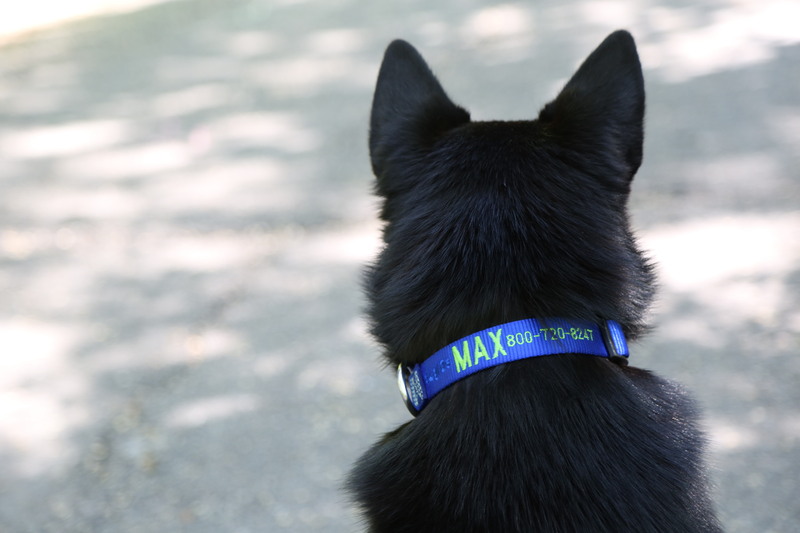 The Personalized Waterproof Dog Collar is a great option for the adventurous dog. The waterproof collar is odor resistant and made to last. If your pup loves jumping in the water, snow or mud than investing in a waterproof collar is a must. The water, snow or mud wipes right off with leaving no odor at all. The best part of the collar is you no longer have to deal with jingling tags. All your dog’s information goes right on the slide on tag. 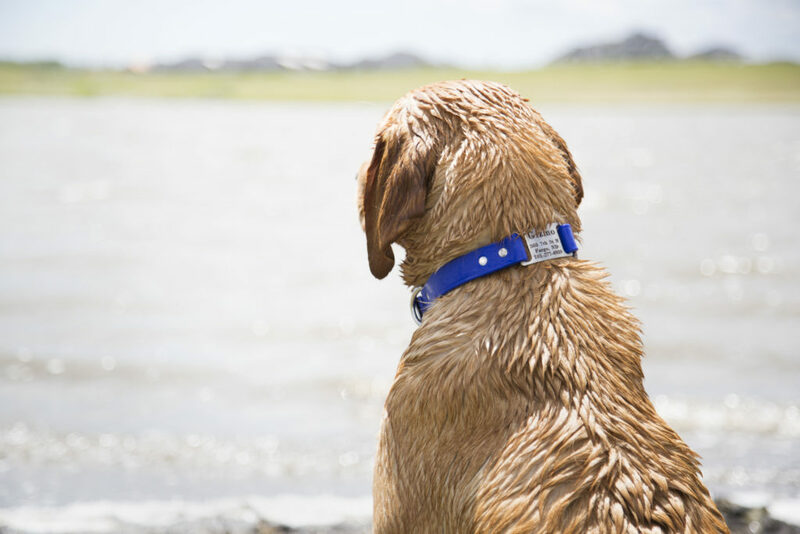 Check out the article, “Does Your Dog Need A Waterproof Collar?” to find out more benefits of investing in a waterproof collar. The Nylon ScruffTag Collar is another great option for your pet. The nylon is durable and has the classic collar look for your pet. 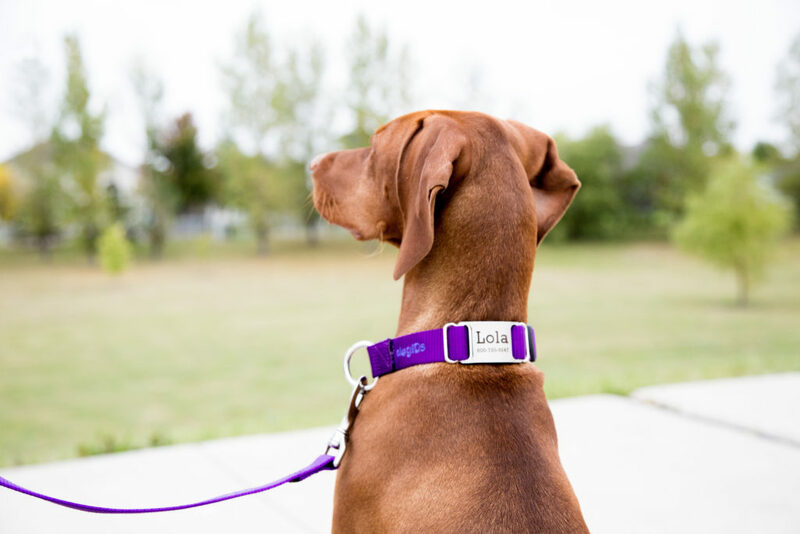 This collar is made out of the softest nylon to provide your pup ultimate comfort. The Nylon ScruffTag is perfect for dogs who stay by the house and don’t get into messes. This collar has the same benefits of personalizing your information right onto the included ScruffTag with no jingling tags. The Embroidered Nylon Dog Collar is made of durable nylon and comes with your dog’s information embroidered right on the collar. You don’t have to worry about any hanging tags for your dog. This collar can dress up your pet’s wardrobe with a wide variety of color options to choose from. Want an easy release buckle for your furry friend? 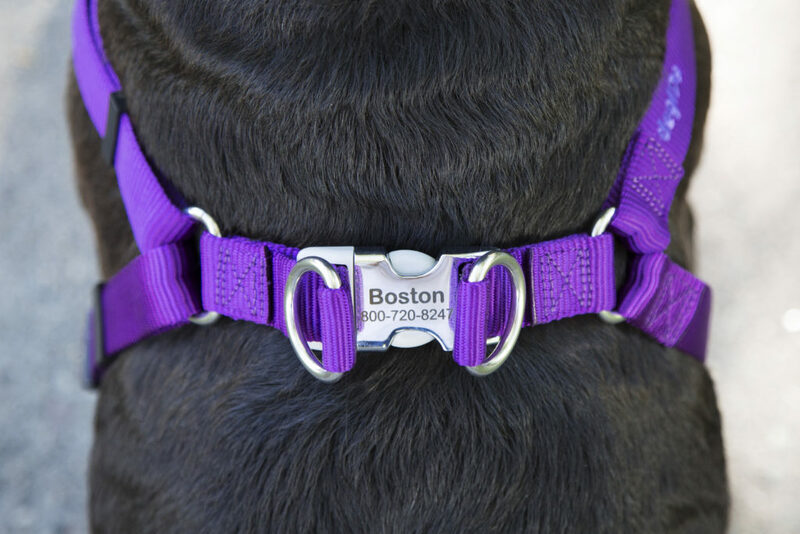 The Personalized Buckle Nylon Dog Collar allows you to engrave your dog’s information right on the buckle. The personalize buckle eliminates any jingling tags and allows for quick release in a sticky situation. When debating which is better for your dog, a harness or collar, remember to ask yourself; What are my dog’s needs? What are my dog’s attitudes and behaviors? And lastly, which product will benefit my dog the most? 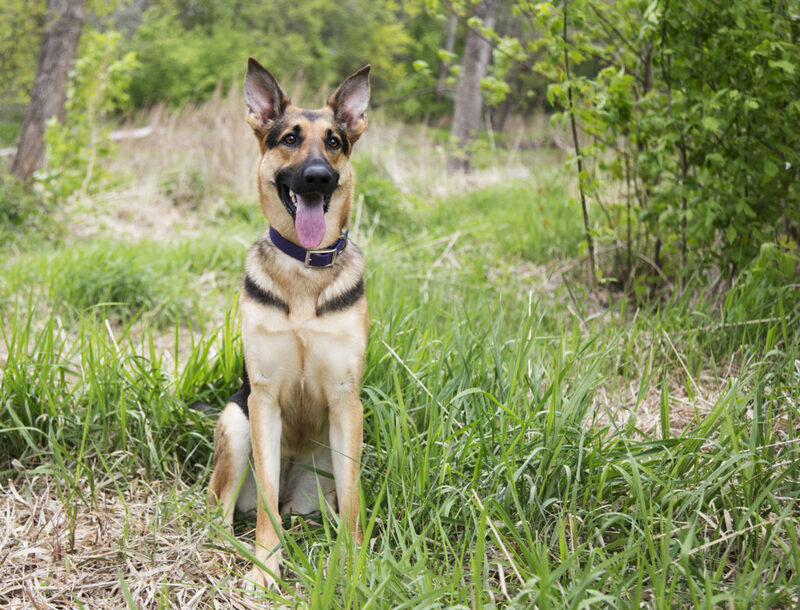 We always want to have our furry friend’s interests in mind when choosing a collar or harness. 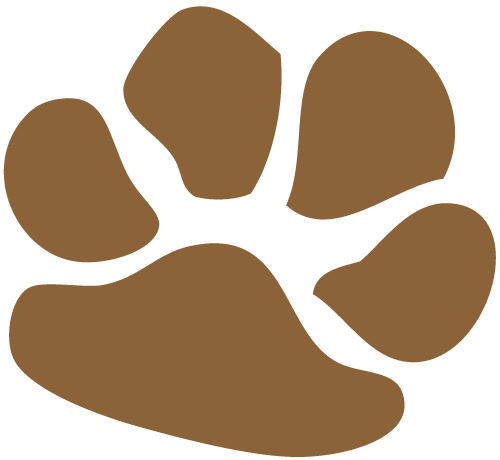 With either option, it is important to have identification on your dog wherever they may go. What recommendations do you have when choosing a collar or harness? Want more tips on choosing a collar or harness? Check out these articles. I prefer harness over collars. I think they are more comfortable to use. Collars have some unique advantages though. Why decide between the two, my dogs will always have on a collar with break away closure (never buckle) with I’d tag, then when we go for walks I put on a harness for there comfort. Harnesses are great but I would never let my dogs go a minute without ID so they always have a collar on period! Nice information about Harness vs. Collar. 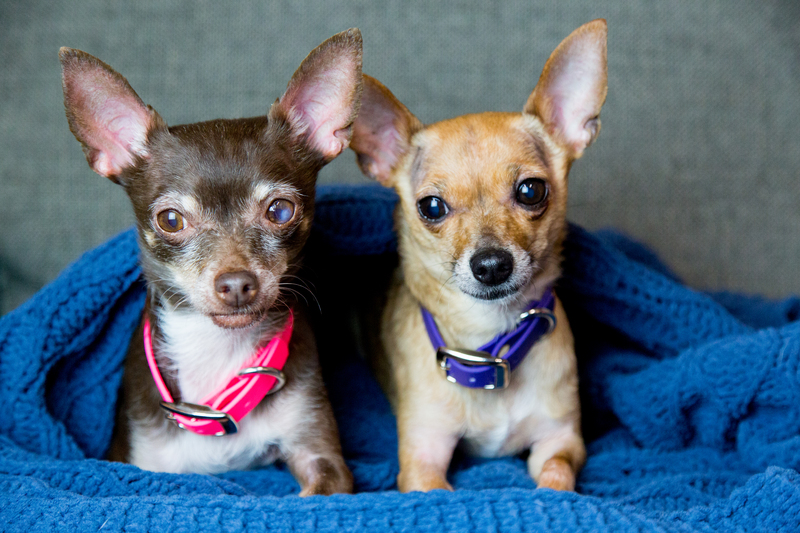 Harnesses are today’s smart and fashionable alternative to collars for toy breed dogs. Designed to allow your dog to push with the chest rather than the throat, a properly fitted harness removes pressure from your tiny dog’s sensitive trachea. Buying a first harness can be more of a challenge than you bargained for. Learn how to make your first harness purchase a real pleasure for you and your dog. A few days ago I have purchased, Pugging Comfy Harness from Pugyou.net, where you can find exclusively dedicated to Pugs and is devoted to offering as many creative and unique Pug themed designs as possible. Nice collection of collars and harness. The question arises which are the best for dogs and which brand. In an answer, you can say both are necessary and Posh Puppy Sports brand is the best. I think it is a very useful information. Thank you for higher the public consciousness.